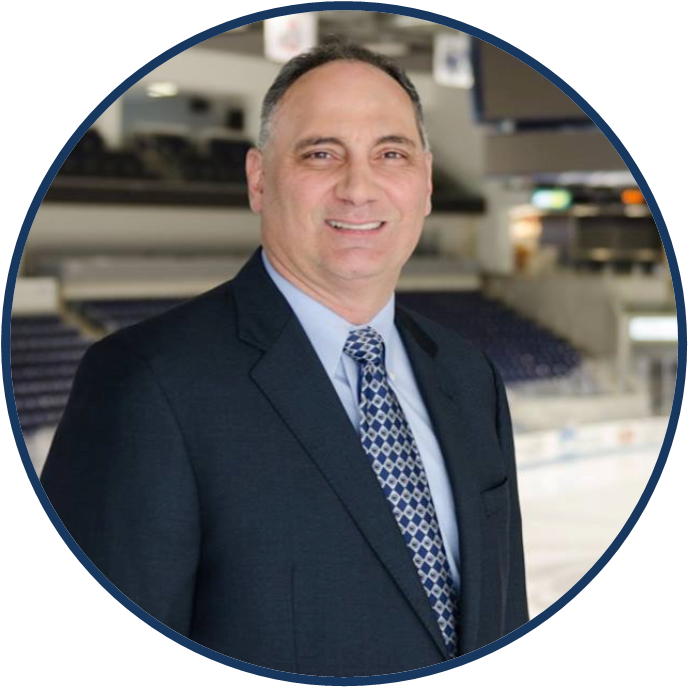 Joe served in numerous capacities in business, intercollegiate athletics, and with professional sports teams, including Vice President of Hockey and Business Administration for the Buffalo Sabres and Director of Amateur Hockey Development for the Pittsburgh Penguins. In 2018, Joe published The Power of Pragmatic Passion and, based on his philosophy of Dream Big, Keep it Real, Get it Done, provides executive coaching and consulting services to corporations and teams around the United States. He spent 26 years at Penn State University (1987-2013) in several positions including Associate Athletic Director for Pegula Ice Arena & Hockey Operations; Executive Director of the Nittany Lion Club, one of the NCAA’s largest booster organizations; and Director of Major Gift Fundraising for the Smeal College of Business. Prior to his time at Penn State, Joe was an Academic Counselor and Leadership Development Instructor at Culver Academies in Indiana. Battista was instrumental in facilitating the largest philanthropic gift in Penn State University's history, a $102 million donation through the generosity of Terry and Kim Pegula (owners of the Buffalo Bills and Buffalo Sabres). Joe is also recognized for his many contributions to growing the interest in hockey in the United States, including 25 years as a USA Hockey Coaching Certification instructor. He was the Head Coach of Team USA for the 2003 World University Games. In 1991, he co-founded the American Collegiate Hockey Association (ACHA), which has grown to a membership of over 500 universities and colleges in five divisions. Joe is a Master-Level Certified Coach for USA Hockey and Certified Executive Coach by the World Business & Executive Coach Summit (WBECS). In April 2014, Battista received the prestigious “Lou Lamoriello Award” from the American Hockey Coaches Association for his distinguished professional career and contributions to the growth of hockey. He has also been inducted into The American Collegiate Hockey Association Hall of Fame and The Pennsylvania Sports Hall of Fame. A Pittsburgh, PA, native, Battista is a graduate of Penn State University’s Smeal College of Business with a degree in marketing.